A few years ago, burlap went from being a utilitarian supply most people had never even seen, (unless you dealt with feed bags) to a hot new rustic staple in the cupboard of every budget decorator. Why not? It’s got great texture, a rustic feel, it’s tough, easy to craft with, inexpensive, neutral in color… The list goes on. So chalk another one up to DIY’er ingenuity, and come learn how to make creative crafts with burlap! 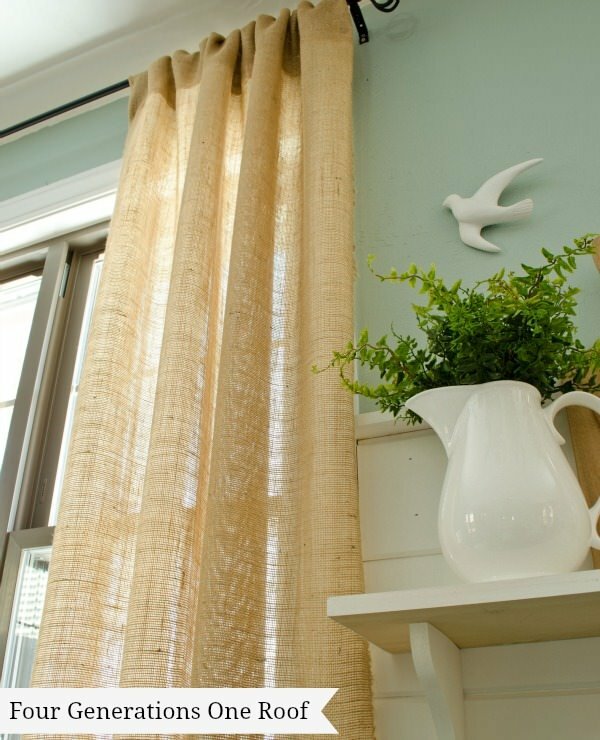 From Jessica at ‘Four Generations, One Roof‘ is a tutorial on how to make burlap curtains, (no-sew!) for a lot of windows, cheap! 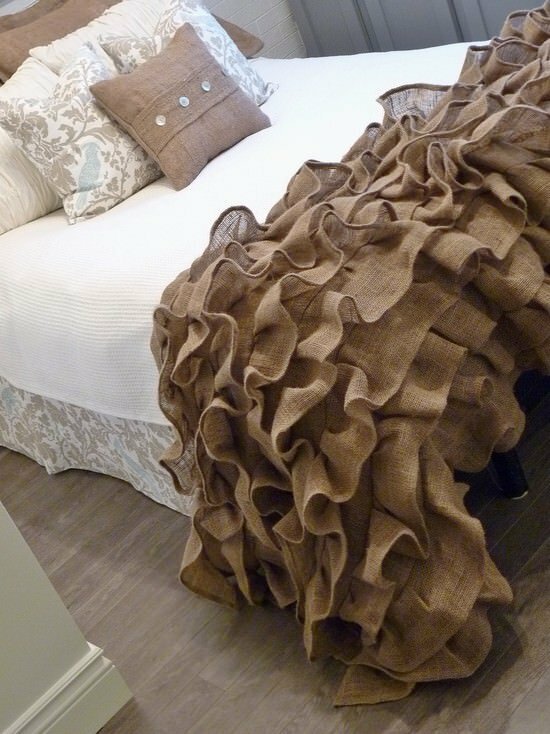 Another no-sew project, this DIY burlap bed skirt is from ‘Carolyn Smith Designs‘! Step by step photos all the way through this easy project, that only takes a couple hours to complete. 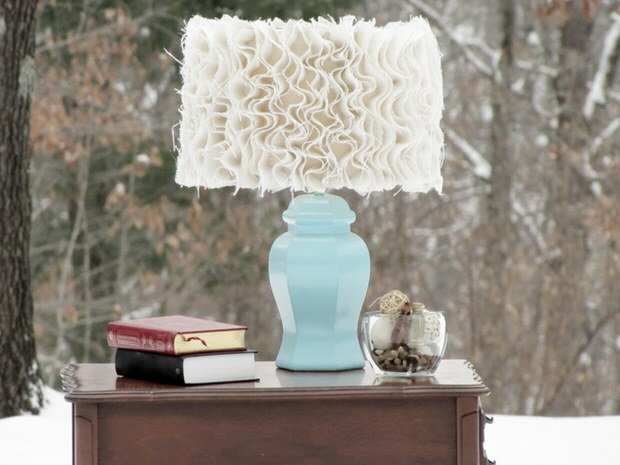 This next project is a ruffled burlap lamp shade tutorial by ‘Mama Says Sew’… I love this! 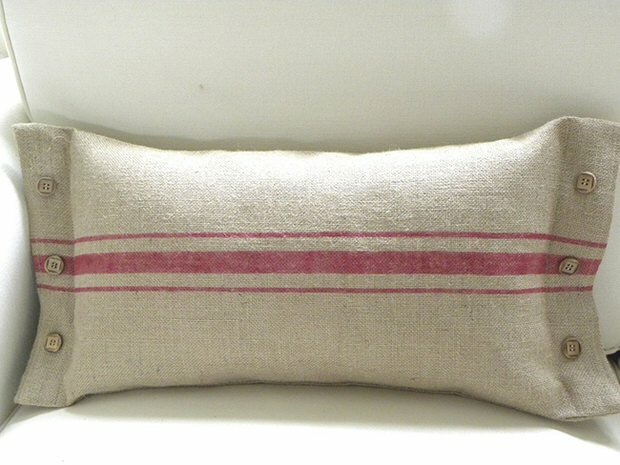 It isn’t too feminine, thanks to the burlap, but it’s different and has character. 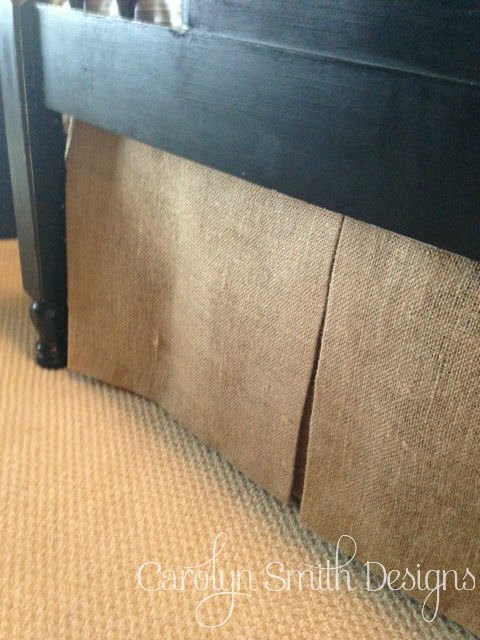 From ‘Liz Marie‘, this DIY burlap ottoman was a perfect project for a self described burlap junkie! 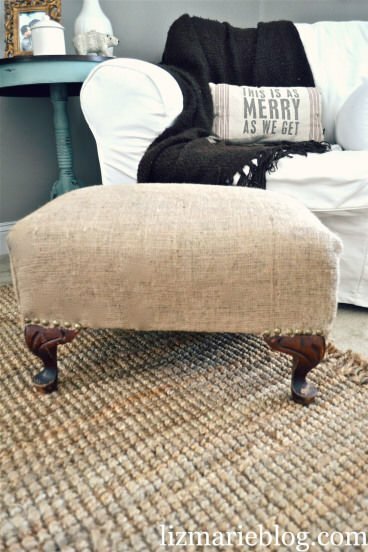 Liz Marie also updated this piece with a nailhead trim as well… You have to click through and see the before photos of this ottoman. Total upgrade! Our next one is from ‘The Rooster and the Hen‘. 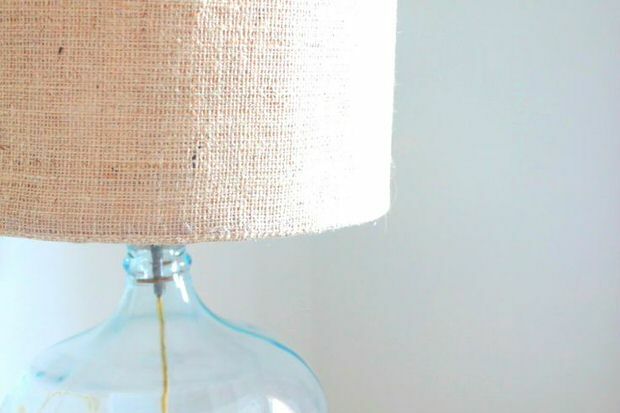 This burlap drum shade lamp project is a quick and simple way to update any room with a little burlap texture. From Samantha at ‘The Nest UK“, this Pottery Barn inspired DIY burlap pillow looks just like it could have flown off the shelves of the nearest PB and into my shopping bag! 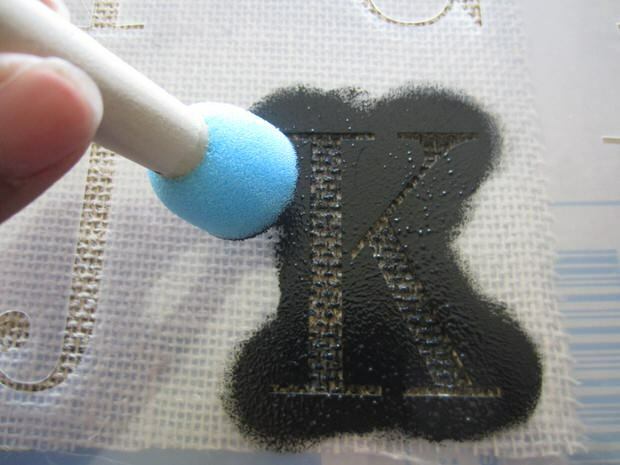 And she shows you how to do this project in about 3 steps. Rene at ‘Cottage and Vine‘ (be sure to visit her Etsy shop!) made these burlap place mats for her shop. I am a huge fan of using inspirational words and quotes in decor, so I love these. Heading over to her shop now! 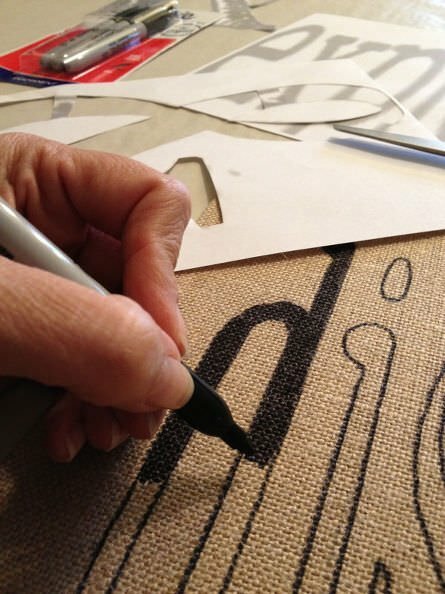 If you are thinking you would like to take a try at a DIY version of an inspirational project, visit Dinah at ‘DIY Inspired‘ and find out how to make her stenciled burlap placemats. Lisa from ‘Pennington Point‘ held a ‘Hometalk’ party where she shared how to make these framed burlap wall art words… So simple – using a sharpie! Remember, you could use any style stencil you want… a modern font perhaps, like she did? Something more script? 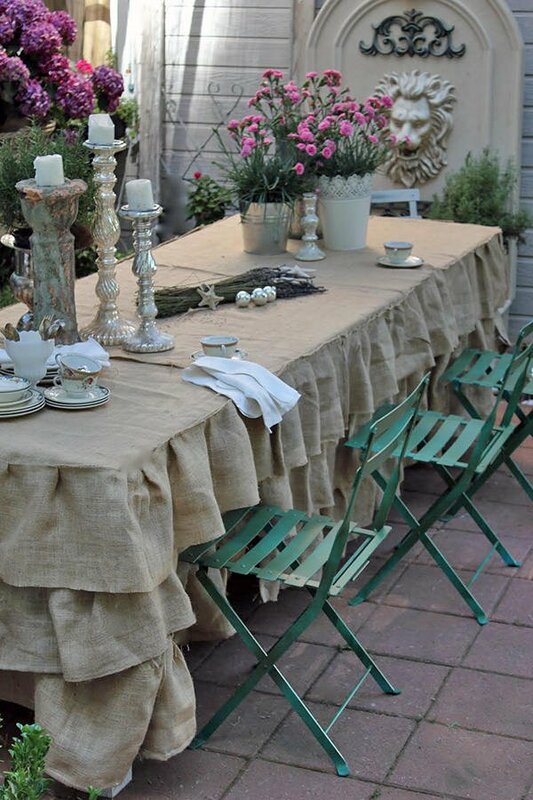 Finally, from Courtney at ‘French Country Cottage‘, she actually made this gorgeous ruffled burlap tablecloth! It looks amazing on her patio, such charm! Loving’ it! 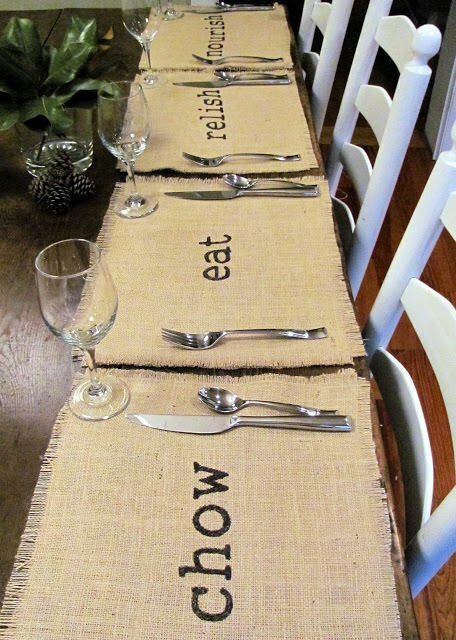 Do you have any great burlap crafts, project or ideas? Share in comments! We think you will want to jump right on over to our post on DIY Area Rugs and Craft Storage Ideas for Small Spaces! Is that a blanket in the picture right before the last one?